We are bringing back the skate jean that started it all. The Blind Jeans Reissue pays homage to the originals while featuring an updated modern straight fit. · 5-pocket 100% cotton 12 oz. denim. · Button-fly closure with metal shank at waist. · Blind logo embroidery at coin pocket. 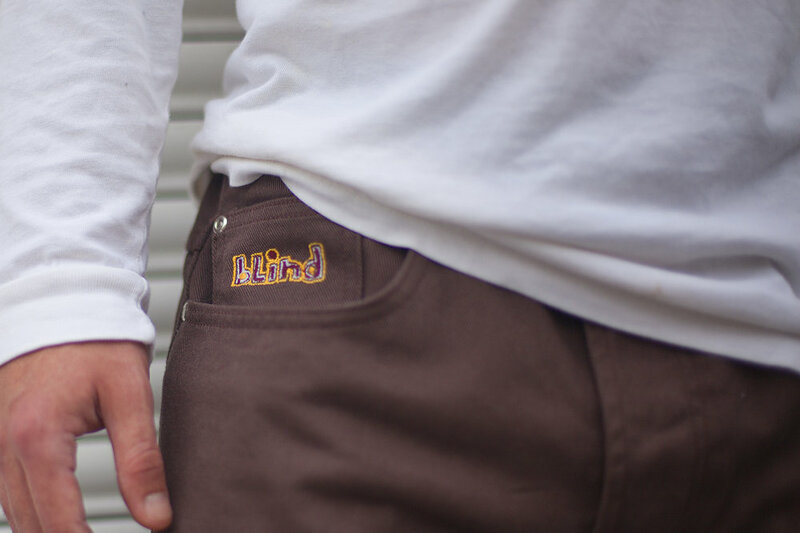 · Blind woven label back pocket. · Bottom leg opening: 18” inseam: 32”. · Colors: indigo blue & bull denim brown. · Sizes: 28, 30, 32, 34 & 36.